First Sentence: The early morning sky was unusually cloudy as Lance Corporal Rhys Williams of the 1st Battalion, The Welsh Guards, tried to cushion his body from the bumps inflicted by the uneven and dusty road leading back towards southern Basra. Review Quote: 'Tony Drury's crime/romance/finance exposé packs a punch' Money Maker Magazine. My Opinion: Fun to read. I had never heard of this author before his début novel was recommended to me by one of the district nurses' that looked after my husband last Spring. However now I have I will most certainly be reading the other titles he has already published including the most recent 'A Flash of Lightning'. This romantic thriller was such fun to read, especially so for me as much of the novel is set in the beautiful region I am fortunate enough to now call home. I enjoy reading books set in surroundings that I am familiar with, an extra bonus for a change to be able to picture places without imagination. Do not get me wrong though I get much pleasure from using my imagination when reading normally, the very reason I always read the book before seeing the film. As a matter of fact I think this novel would convert well to television or big screen, but then I am bias, the scenery alone is stunning without the romance and mystery. 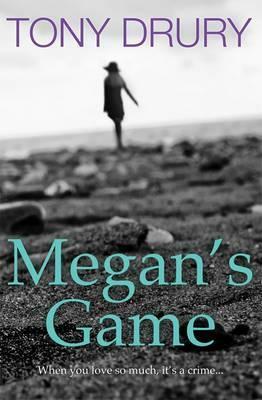 (Note - I have just seen on the author's FB page that Megan's Game is being made into a film, I could not be more thrilled!). Tony Drury's personal knowledge of the world of finance and the region in Wales where the story is partly set has made for a plot that flows smoothly throughout. Megan of the title is a young war widow still trying to come to terms with the death of her husband in Basra. Living in the beautiful Cardigan Bay area of Wales, she works as a sports teacher in a village school and at a local Outward Bound Centre. Her life changes one weekend when she plays in a local tennis tournament, finding herself partnered with a local holiday home owner. Megan and her partner David get on well together and there is an immediate spark of attraction between them. However his life is mainly in London where he is immersed in the world of finance, very different from Megan's life in Wales. With two such different lifestyles can a relationship between them ever work? To complicate things further David is preoccupied with the suspicious activities of a city broker and even finds himself a suspect in a murder enquiry. How can he ever hope to have a successful love affair with Megan? The odds are certainly against them getting the happy ever after ending. Anyway as I have already said this was fun to read, a successful mix of two genres that had me reading way past after the lights should have been turned out! 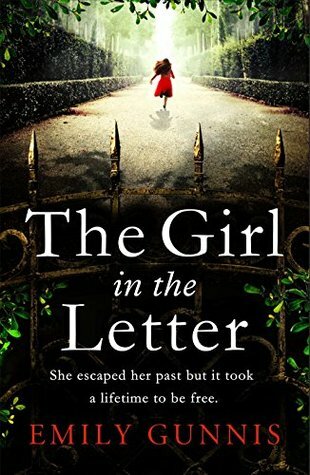 An impressive début from an author that will appeal to a wide cross section of readers. A fabulous trailer for the book! He decided to pursue his love for fictional novels by becoming a Romantic Thriller Writer and in May 2012 released his first book 'Megan's Game' which is being released as 'Megan's Game' - The Film. Tony Drury is also a fully elected member of the Romantic Novelists' Association. The biographical information and photo used in this post are with thanks to the following websites, where you can also find more information about the author and his writing. Labels: Fiction, Romantic Thriller, Tony Drury. I am indeed following the FB page and I hope other readers here will also do so. For me...romance, no...but the 'thriller' part would no doubt keep me turning the pages to the end. Yes, looks like fun, I'll put on the list for my next reading! I am delighted you have decided to add this title to your list Leovi. It might tempt you to come and visit this beautiful region one day.